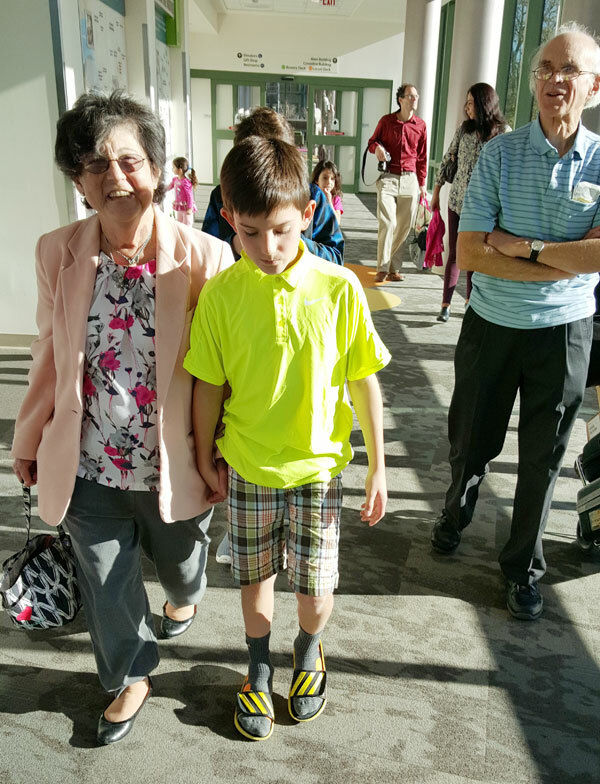 Rosie Kluth marvels at how much Akron Children’s Hospital has changed since she was patient over 60 years ago. For 73-year-old Rosie Kluth walking the halls of Akron Children’s Hospital was like a step back in time when she and her family, including daughter Dr. Lisa Eggleston, a pediatrician in the Barberton office of Akron Children’s Hospital Pediatrics, stopped by for a tour on the Wednesday before Thanksgiving. Rosie, who grew up near Youngstown, used to regularly travel to Akron during the summers between 1944 and 1952 to have corrective surgeries for a club foot and cleft palate. Rosie’s aunt lived in Akron and insisted she come to Akron Children’s for treatment after learning her niece wasn’t making progress under the care of doctors near her hometown. Rosie tours Akron Children’s Hospital with her family. Rosie endured more surgeries through age 23 and eventually went on to pursue a career as a geriatric physical therapist. One of her first jobs was in a Cleveland hospital where she crossed paths with Dr. Ned Kluth, a dental resident, who fitted Rosie with an obturator – a prosthetic device that helped improve her hypo-nasal speech, a result of her cleft palate, which she was very self-conscious about. “I endured a lot of teasing as a child and didn’t really feel comfortable with myself until I was a young adult,” she said. As a gesture of thanks she invited Ned to dinner, even though she was dating an intern from New Zealand. 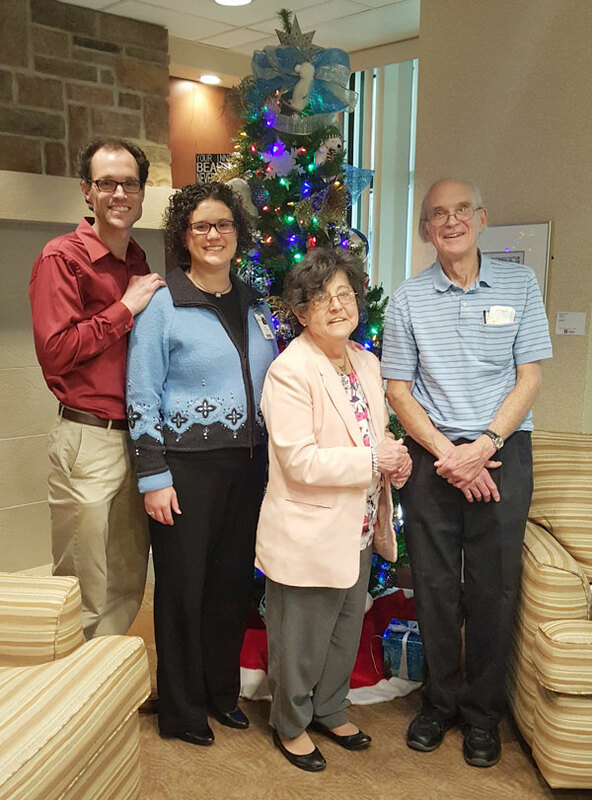 Fast forward 43 years, Ned and Rosie now have 2 adult children, Eric, a minister, and Lisa, in addition to 6 grandchildren. When asked whether her mother was an impetus for her career choice, Lisa said Rosie’s experiences have definitely influenced how she interacts with patients. 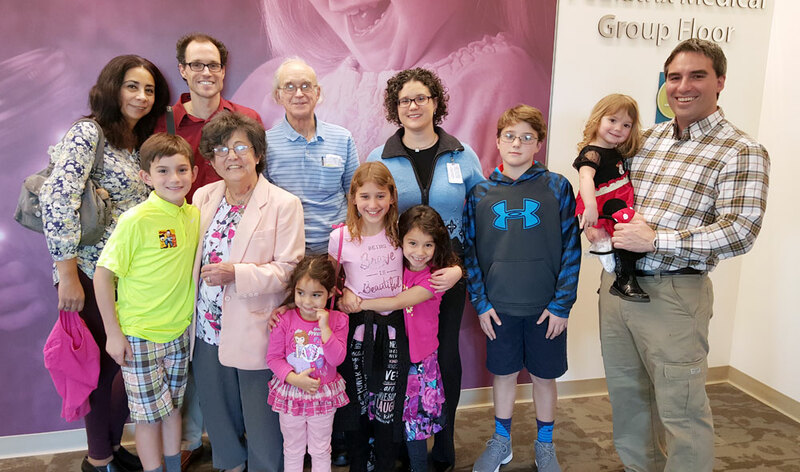 Lisa joined ACHP Barberton in September 2014 when she and her husband, Justin, an emergency medicine physician at Akron General and 4 children relocated to the area from Wilkes-Barre, Pa., to be closer to family. In 2011 Rosie started to experience kidney failure and spent 14 months on dialysis before receiving a kidney from Ned. In 2013 she suffered a stroke. Lisa credits her mom’s remarkable recovery from her recent health setbacks to sheer determination. Rosie still has some coordination issues and slower reflexes, which caused her to give up driving. But overall she’s thankful for what she can do. “I’ve never let my deficits define who I am and I’m not going to start now,” she said.